Budapest is a delightful and refreshing city to visit, with its beautiful architecture and lovely people. Where most European cities have long been established Budapest stands out with its youthful city. The city was born in 1873 when Buda, Pest, and Óbuda were unified. Before this, the cities were developing separately for centuries so in comparison Budapest is a relatively young European capital. There is a lot to enjoy in Budapest, excluding the obvious nightlife. One can gawk at the imposing architecture, take in the beautiful views and learn about the rich and recent history that has shaped the city. Visitors determined to get the most out of their trip can be at ease, the city is easily accessible by underground metro, bus, trams and city bikes. To truly appreciate the landscape, traveling to the Buda side of the river is a must. The Pest side is mostly flat land so visitors only get a basic yet still gorgeous view of the Gothic and renaissance architecture. Buda is a lot more uphill. 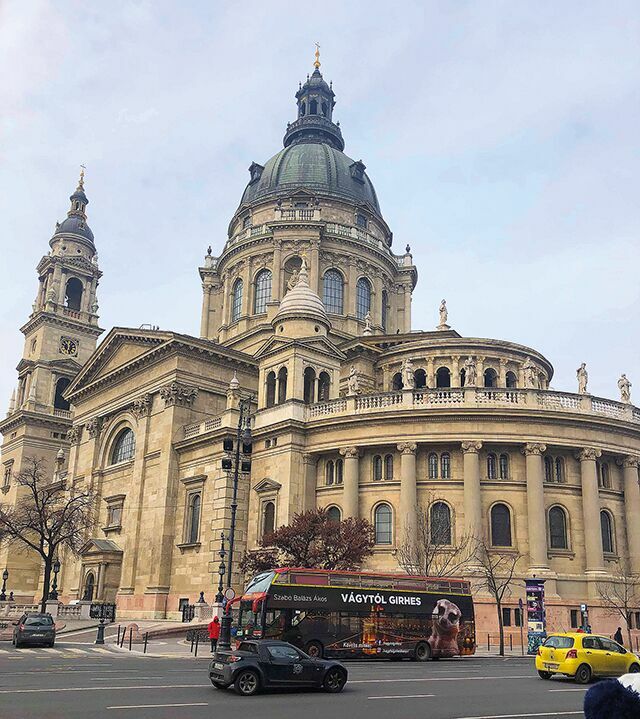 There is a lift which brings visitors to the stunning Mathias Church which is at the top of the hill, but before that, you should take in the view of the Danube river, the Szchenyi Chain Bridge and the other various outstanding buildings. It’s hard to believe that Budapest has experienced many wars and invasions in its short yet dense history and has still managed to redevelop and stay such a vibrant and captivating city. It could also be said that the inhabitants play a major part in the overall enjoyment of a trip to Budapest. Most locals are extremely nice and will do their best to help, the majority of them speak a high standard of English. Some of the locals even give free walking tour guides of the city, this is a must for getting to know the city’s past history and present-day geopolitics. For a visitor who is not interested in the current affairs of Hungary, guides will recommend the best places to eat authentic Hungarian food. The spicy Goulash (soup) and smoky Hurka & Kolbász (sausages) are just a few of the tantalising foods available in close vicinity of the city. Well-known food-joints such as McDonald’s and KFC are scattered around the city if you want to eat somewhere a bit more familiar. For those with a sweet tooth, Chimney cakes are a must. They are a sweet bread baked in a spiral and can be pulled apart and are often rolled in cinnamon, sugar, cocoa, nuts, or coconut flakes. They can even be filled with Nutella and ice cream at certain stands. All these foods mentioned raise the question of how affordable is Budapest. Visitors can be relieved, The city is as friendly to a traveller’s wallet as it is to them. The currency used in Hungary is the Hungarian Forints(HUF). €1 is the equivalent of 320HUF. Living on a budget is not hard, a day’s worth of eating out in student-friendly restaurants and stands will come down to less than €15 or 4,200HUF (This includes breakfast, lunch, and dinner). Accommodation is reasonable, at less than €20 a night per bed in a hostel. A 3-day travel pass can be used on the metro, tram, and bus, costing around €15 and is worth getting to fully take advantage of public transport in order to explore the city. For places to visit, there is something for every traveller: the city has no shortage of attractions. Ice skating in the Varosligeti Rink is terrifying for beginners but thrilling all the same for the experienced and veteran skaters. Be prepared as they do not supply penguins to assist beginners, apparently, the Rink can only give them to children. An unfair practice but yet yields the most laughs. Evening time would be the best time to skate, the music is good, an abundance of people show up and the ice is lit up so well that you can’t help but show off your best moves. For visitors who just want to unwind, the famous Thermal Baths are a necessity. Hobbling from place to place to escape the cold gets tiring. That’s where the baths come in as they will release every form of fatigue in the body. Budapest Baths are one of the top reasons Budapest is visited by hundreds of thousands of travelers. A visitor can experience massages, revitalise in the saunas and steam rooms (plus the cold plunge pools), do laps in the swimming pool, have a few beers at the cafe, laugh at the whirlpools (Szechenyi Baths) and fun wave pools. After your time in the baths are up, you are left with a refreshing feeling. For the night-crawlers out there, the city will not disappoint. A boat party is an out of the ordinary bash and most take guests on a four-hour journey around the Danube river. It can’t be missed if you enjoy getting ‘turnt up’. Ruin Bars are also a good motive. They are a nice change in comparison to the standard bar or pub scene. They are set in stone ruins and have all sort of eye-turning items littered around them. The drinks are cheap and the ambiance is rich. A great combination that will set up an unforgettable memory. Undoubtedly, Budapest is a unique and endearing city. For any student who is considering this lovely spot for their next holiday, they can be rest assured that the city will welcome them. The city is affordable and easy to get around via public transport. The locals are pleasant considering the constant invasion of tourists but that’s a testimony to the allure of Budapest. If there is nothing on your calendar for your next holiday, consider Budapest. The one-stop-shop for an exhilarating time with a sprinkle of foreign delights.